WANDA BOLTON-DAVIS is the wife of the pastor at the St. John Church. The Illinois native and mother of three also serves as a teaching pastor and ministry director at the church. When Rev. Wanda first moved to the Dallas area in 1983, she aided her husband in the work of the church by serving as Minister of Music, starting the Social Service Ministry and founding the Annual Women�s Retreat. This was all while working as a social worker in the field of adoption. Rev. 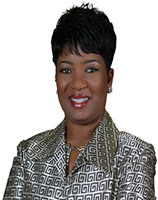 Wanda holds a bachelor�s degree in Rehabilitation Science, a master�s degree in Social Work, a Master of Divinity degree from Truett Theological Seminary, where she was selected as their Minister of the Year in 2005, and she is currently pursuing the Doctor of Ministry degree at Talbot School of Theology. VICKI MEEK is a visual artist and an experienced arts administrator. Her career took her from the East coast to Texas and her innovative art programs and initiatives had a profound community impact across the country. At age eight Vicki decided to become a sculptor. Inspired by the work of the African-American visual artist Elizabeth Catlett, Vicki pursued an artistic career with the hopes to give back to her community and a new generation of African-American artists. Vicki graduated with an MFA and started teaching at the Kentucky State University. Vicki has been with South Dallas Cultural Center for 16 years now and has successfully revived it from virtual inactivity into a vibrant community hub. 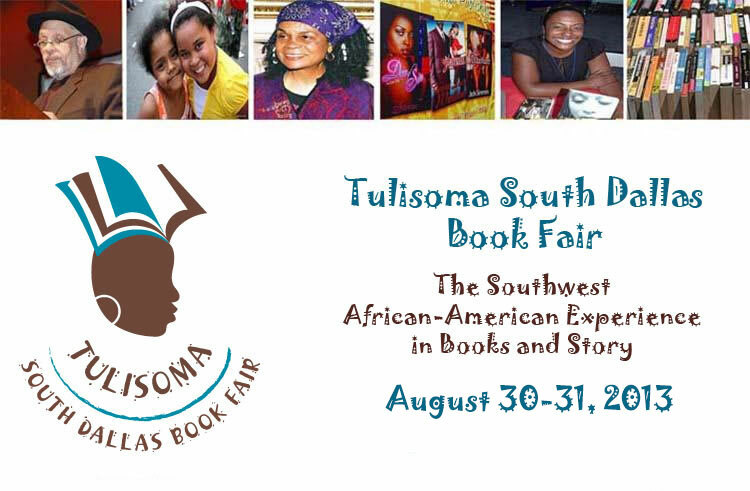 The Center currently hosts numerous visual and performing arts and youth programs and has become an oasis of African-centered culture for the entire North Texas region. DIANE RAGSDALE served as a Dallas City Councilmember from 1984-91; she was laying the groundwork towards making other significant inroads of revitalizing and improving the state of affairs in her own beloved South Dallas community. Diane Ragsdale didn�t slow down after leaving the Dallas City Council. She stepped up her longtime involvement in the nonprofit Innercity Community Development Corp., which targets one of her community�s most pressing needs. Ragsdale graduated from James Madison High School, where she now has the school library named in her honor. She received her Bachelor�s Degree in Nursing from Dallas Baptist University and first pursued a career as a registered nurse and health administrator. From 1999 to 2002, Ms. Ragsdale served as Chair of the ICDC Board from 1999 to 2002 before taking over as Managing Director in 2003. JUDGE CHERYL WILLIAMS earned her doctorate of jurisprudence from the University Of Missouri School Of Law located in Columbia, Missouri. She received her bachelor�s degree from Sam Houston State University, with a major in political science and a minor in Spanish. 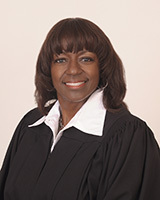 She was appointed to serve as a municipal judge in 1999. She also serves as a magistrate for the five counties within the City of Dallas boundaries, issuing arrest and search warrants for law enforcement personnel from over 30 different jurisdictions for criminal offenses. Judge Williams presides over the South Dallas Community Court and over all municipal court juvenile matters. While presiding over all juvenile cases, Judge Williams oversaw the City of Dallas Teen Court program � a peer court; with teen volunteers from the area high schools participating as Judge, Prosecutor, Defense Attorney, Jurors and bailiff. She is very passionate about issues affecting juveniles. She is a speaker to bar associations, schools, social and religious groups throughout the metropolitan area of Dallas/Fort Worth.